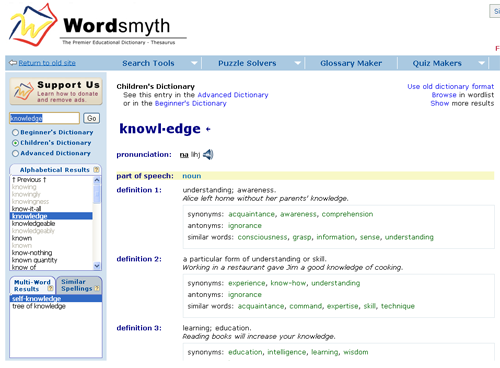 Whilst at school recently a parent asked if I knew of a good site that children could use to find the definition of a word. As you would expect with four young children we do a lot of word work at home. The site we use is Wordsmyth.net it’s really handy and has an option for children that simplifies the definitions. There is also a handy widget that can be added to your browser, specifically for pupil use. We thought perhaps you would find it helpful either within school or for parent information.